Disney is in the process of a leadership organizational reshuffle, which will bring a new Vice President to Epcot. Current Epcot VP Erin Youngs will take up a new role of vice president, Construction, Horticulture, Textile Services and Distribution Services. Erin replaces the retiring Greg Ruse. Taking up the role of vice president Epcot will be Sam Lau. Currently the VP of Walt Disney World Transportation, Sam will report to Jim MacPhee. Finally, replacing Sam Lau in transportation will be Jason Kirk, who takes up the role of vice president, Transportation Operations. He has previously been part of the team that relaunched Disney California Adventure, and most recently a director, Planning & Industrial Engineering. Jason will report to Tom Wolber. Walt Disney Imagineering is moving the very well regarded Scott Trowbridge to a new dedicated project studio solely dedicated to the Star Wars franchise. This is obviously a significant development, with Disney now looking to begin to make use of the huge Star Wars property that they acquired from George Lucas. Disney has not yet announced any plans for any theme park attractions based on Star Wars. In addition, Scott will also take on the role of portfolio leader at Disneyland Resort. He was previously leading WDI Research and Development and various Blue Sky work. Trowbridge joined WDI after being a key member of the team that designed much of Islands of Adventure at Universal Studios. In further organizational changes at both park leadership and at Walt Disney Imagineering, veteran Imagineer Tom Fitzgerald is taking lead on the creative direction of Epcot. 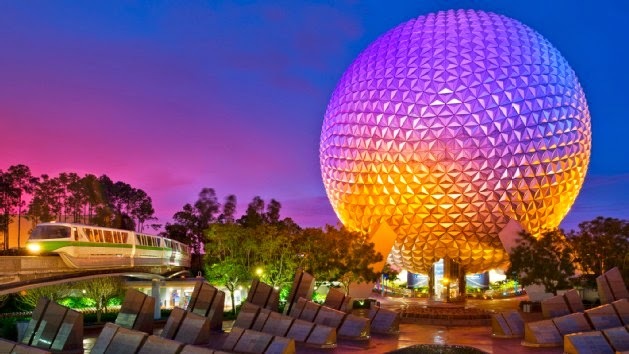 Disney is poised to begin a major re-Imagineering of Epcot, looking to restore the original intent of the park in both Future World and World Showcase. Tom's extensive experience with WDI should position him well to take on such a project. Fitzgerald will retain leading WDI at Disneyland Paris, where he is currently wrapping up the Ratatouille attraction in Walt Disney Studios Pars. In refurbishment news, several that were scheduled for this summer have been pushed back. The Tomorrowland Transit Authority PeopleMover refurbishment that was scheduled for 5/3/2014 to 6/30/2014 has been moved back. It will now be 6/2/2014 to 8/4/2014. The Astro Orbiter refurbishment has been moved to 6/2/2019 to 9/19/2014. The Liberty Square Riverboat at the Magic Kingdom is scheduled to be closing for a short refurbishment in August. The refurbishment will begin on 8/4/2014 through to 8/8/2014. The bus stop at Downtown Disney Marketplace will be operating at reduced hours from today until late May 2014. The Marketplace stop will operate from noon to midnight, with the alternative Pleasure Island bus stop operating from 8:00 AM to 2:00 AM. The FastPass+ kiosks in all four parks now support Spanish, with more language choices to come in the near future. 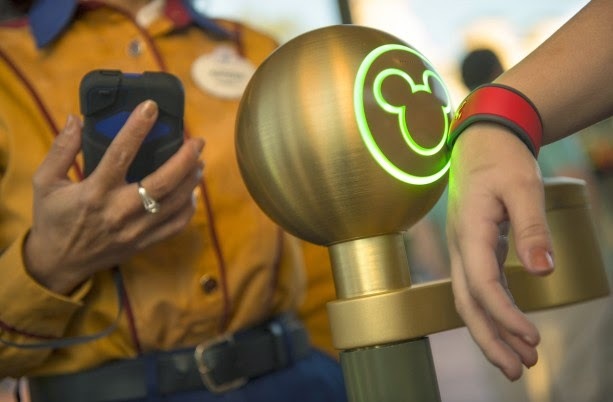 To access the Spanish version, choose the language on the touch screen before touching your Magicband or RFID card to the reader. The recently constructed second ferry boat dock at the Transportation and Ticket Center is now in operation. Although looking complete, the second dock at the Magic Kingdom side is not yet in operation. Anyone looking for Frozen merchandise in the parks can attest to its short supply. 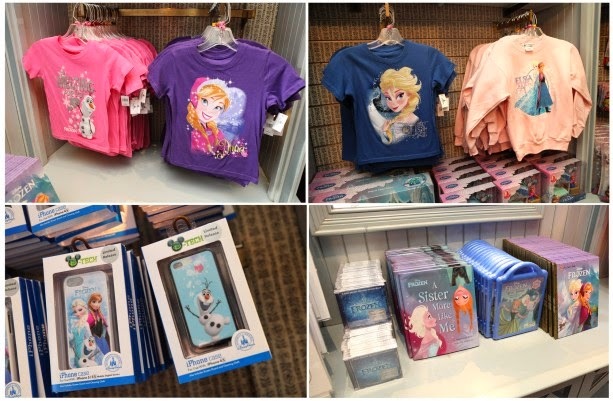 In what seems like an effort to keep Frozen merchandise in stock, all of the domestic Disney theme parks are now placing a purchase quantity restriction on Frozen merchandise. Beginning yesterday, all Frozen products have a purchase limit of five. This means that you can purchase up to a maximum of 5 of the exact same item. You could for example, buy 5 Elsa dolls, and 5 Anna dolls, but not 6 Elsa dolls. The restriction has been but in place at all the domestic properties, which includes Walt Disney World, Disneyland Resort, Disney Cruise Line, and Disney Vacation Club locations. The cost of fountain beverages across the Walt Disney World quick service locations has been increased. A regular fountain drink is now $2.99, up 30 cents from the previous price of $2.69. A large fountain drink remains at the same price of $3.19. Prices of most quick service food items has also risen, typically by 10 or 20 cents on most items. 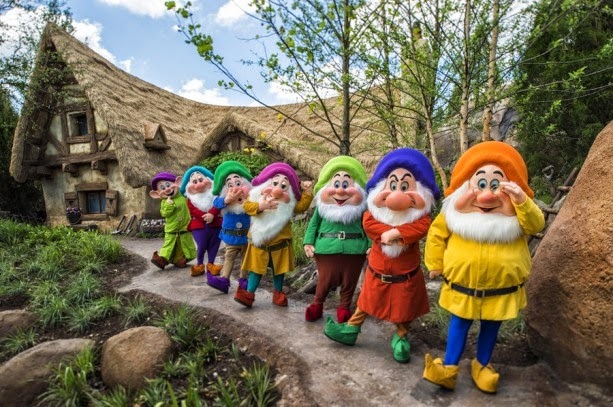 With the Seven Dwarves Mine Train nearing completion, Disney has been releasing quite a bit of information on the attraction. The jewels seen throughout the mine come in three different sizes and six different colors: red, green, amber, purple, blue and clear. Disney has also released a near complete POV ride through of the coaster. The Seven Dwarfs Mine Train has been designed to keep guests waiting in the standby line entertained, and like some of the Magic Kingdom's other recent additions, it features an interactive queue. Video from the Disney Parks. Disney has also released some aerial footage of the area. Disney's Animal Kingdom will be debuting an all new premium nighttime event called 'Harambe Nights.' Although not yet officially confirmed by Disney, this is what we understand will be on offer. Each Saturday night, Disney's Animal Kingdom will host a special event including appetizers, beer and wine, along with a new theatrical show in the new Harambe Theater. Afterwards, more food and drink will be on offer at the Harambe Nights Street party. 'Harambe Nights' will run on Saturdays, from June 7 to August 9 2014, 7:00 PM to 10:30 PM. Two categories of seating will be available. With Premium costing $134+ tax for adults, and $94 for ages 3-9. Regular seating will cost $119+tax for adults, and $79 for ages 3-9. Ticket sales should begin soon, along with the official announcement. 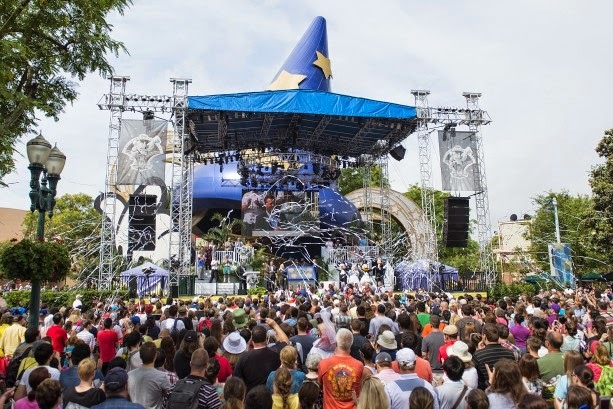 Disney’s Hollywood Studios celebrated its 25 anniversary on Thursday with a special rededication ceremony this morning to mark the occasion.